Winter is getting closer and closer and the temperature is dropping more each day. 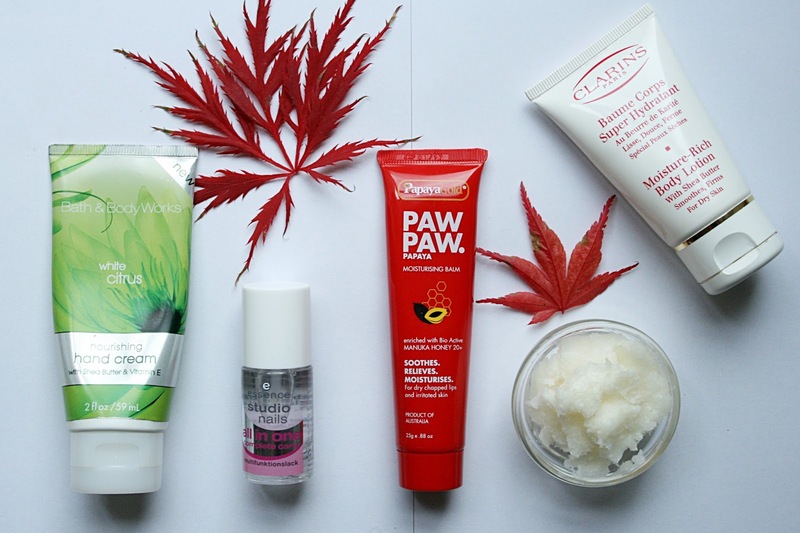 To prepare ourselves for this weather (which I LOVE), here are my 5 must haves for winter. I have mentioned this product before and I'm going to mention it again, because I simply can't find a hand cream that beats this guy! 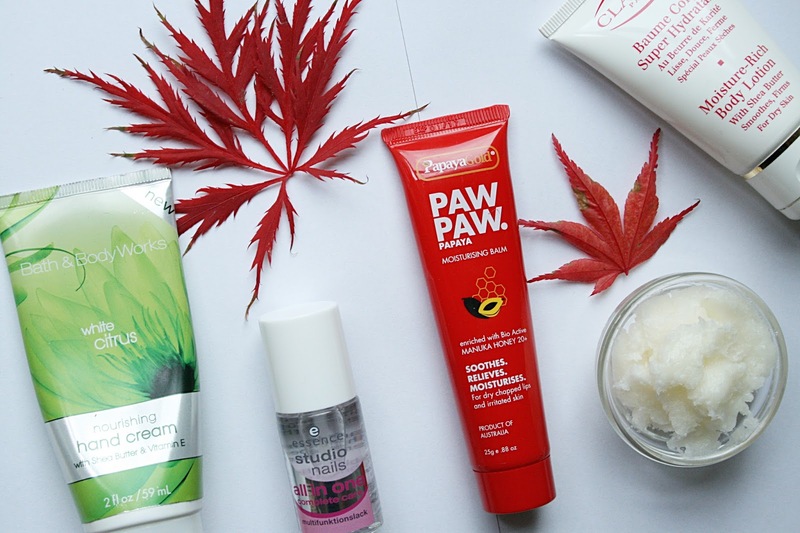 It's the most perfect nourishing, quick drying, not oily hand cream I have ever used. This white citrus scent smells amazing, it's very fresh and clean and it does exactly what you want it to do during the colder months, where you typically get super dry hands. If your nails are suffering from dryness and breakage, you should try this product. It's a new Essence nail care product with grapeseed oil, that will hydrate and strengthen your nails. It can be used for multiple things, as a ridge-filler, base coat, high-shine top coat or just by itself for a glossy natural nail look. I've been having crazy dry skin around my nose the past few weeks and looked through my stash and found this product and it's a must have for dry skin! The great thing about this product is that you can use it for so many things and it's super moisturizing. You can use it on your lips - as a face primer - to moisturize your skin, cuticles and hair! I heard about this product from Emma Griffy and thank you girl for recommending it! If you want to save money, while still having healthy hair, skin and nails, coconut oil is the way to go. You can buy big jars of coconut oil that will last for a long time, since you don't need much when using it. To use it on your hair, spoon out about two tablespoons of coconut oil and warm it up in your hands so it melts. Then apply it to the ends of your hair, and leave it in for 30 minutes or overnight. When you wash it out, your hair is going to be super soft and shiny. On your skin you can use it as a makeup remover and as a moisturizer. For your nails just take a tiny bit out of the jar and rub it on your cuticles to moisturize them. You can also use coconut oil when cooking, instead of olive oil, just make sure it won't burn, since coconut oil doesn't have as high of a heat tolerance. This body lotion, contains Shea butter and it's amazing at moisturizing your body. It's smooth and not sticky at all. It dries faster than most body lotions and it's therefore great to apply before putting your clothes on or before going to bed, because you won't get lotion on your clothes or bed sheets.